What to Consider When Purchasing Incontinence sheets? The first thing is which types of incontinence sheets you would like to use. There are two main types of incontinence sheets, washable and disposable. Washable are those that you wash after using to be able to use them again while disposable are those that you throw away after using. A family whove been suffering from bed wetting through into adulthood seek help from Dr Christian. The choice of the type to use depends on how much you can afford to spend on incontinence sheets. Disposable sheets are more expensive to use because they are used only once and thrown away. 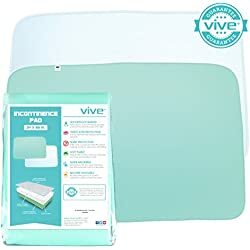 If you choose to purchase the washable incontinence sheets for instance incontinence bed pads, you should choose those that do not require special laundry. This is because special laundry may take a lot of time. Quality of the incontinence supplies to use is another important thing to look for. There are different types of sheets. Some are better in absorption compared to others. It is always good to purchase those that have high absorption especially if you are purchasing bed wetting sheets. 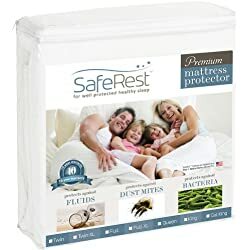 That way, you can be guaranteed that mattress is protected even when heavy incontinence is excreted. Using the high absorption sheets is advantageous because they do not only protect items from incontinence but also reduce the odor. 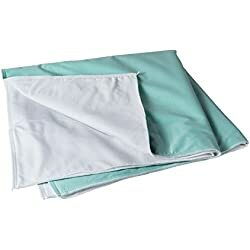 Incontinence sheets should be noiseless especially those that are put on mattresses. Some sheets clinch when being used and makes it very uncomfortable for the users when sleeping. In this regard, it is important to specify to that you need incontinencepads that do not make noise when they are used. Most store keepers know those that are noiseless and will get them for you. That is of course if it is your first time purchasing these sheets. On subsequent purchases, you can go for the specific brand you had purchased earlier if it does not make any noise when being used. When purchasing these incontinence sheets, it is important to ensure that they are not allergic. Some people are allergic to some of the substances used to make incontinence sheets and they develop rashes and feel itchy at times. To ensure that you get the best incontinence supplies, you can consider visiting experienced people who can provide such information. You can also research on the internet which incontinence sheets do not cause allergic reactions. At the same time, you should ensure that the sheets purchased are comfortable. This applies mostly to bed wetting sheets. Some slide when being used and this can be really uncomfortable. Sheets that have ends that can be tucked are the best to use for best comfort. For incontinence sheets that are worn, you can choose those that look exactly like pants. They are more comfortable compared to other types. You should also look for a backing in the sheets. The backing helps to keep the incontinence from soaking though the sheet. It would be good to go for incontinence sheets that have a larger backing.